Rich in exceptional wildlife and breathtaking landscapes, Africa has long attracted adventurers, traders, explorers, intrepid travellers and trailblazers alike. 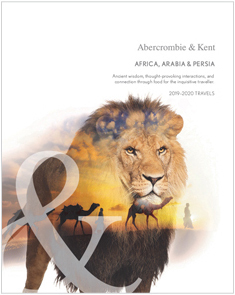 A journey into Africa with Abercrombie & Kent is a journey guided by over 50 years of passion for the mother continent. Our own story starts here, where we began our African love affair as a luxury safari company in 1960’s Kenya, eventually growing into an award-winning global network of offices. That pioneering passion burns on and is found in a broad range of bespoke A&K Africa itineraries enjoyed by discerning adventurers the world over. For today's luxury traveller, an expedition to Africa is a call to witness the untold majesty of nature’s greatest theatre, the African wilderness. No experience brings you closer to Africa’s wildlife than an expertly curated A&K safari. Led by skilled guides, you’re placed front row in elite game reserves and unspoilt national parks in Tanzania, Kenya, Zambia, Botswana, South Africa and beyond. 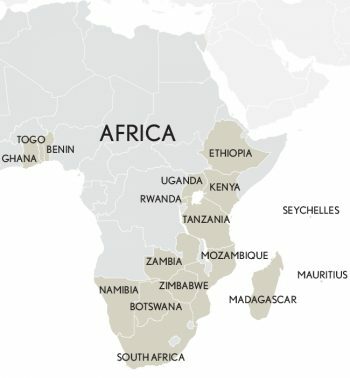 A&K’s bespoke Africa journeys are as diverse, and sought after, as the continent itself. With expert itineraries and luxury accommodation taken care of, the choice is yours to indulge your wildest imaginings and make real your African dream. A continent as expansive as Africa offers travel connoisseurs the ultimate melting pot of experiences and adventures. From the wildebeest herds of the Serengeti, to the playful impala of the Okavango Delta and the big cats of Sabi Sand, Africa’s wildlife diversity is simply extraordinary. Abercrombie & Kent’s range of Africa holidays and luxury accommodation mirrors this diversity, with an abundance of journeys on offer tailored to small groups, families, solo travellers, wildlife enthusiasts and couples on honeymoon. As experts in exclusive African holidays, A&K complements elite safaris and journeys with unsurpassed luxury accommodation. After a breathtaking day on the wide open plains or an inspiring cultural encounter, your exceptional Abercrombie & Kent experience continues with time to rest and indulge in Africa’s finest game lodges, luxury safari camps, private serviced villas and five star boutique resorts. Set in unrivalled locations offering premier game viewing, gastronomic highlights and uncrowded relaxation, A&K’s select African accommodation partners are in fine company with the world’s top luxury stays. As Africa journey experts with a long history in bespoke safaris, A&K has hand picked what we know to be the very best in luxury travel to Africa. Browse our Africa Journeys to discover curated itineraries with enviable highlights. Marvel at ancient volcanoes and the world’s last remaining mountain gorillas in Rwanda’s Parc National des Volcans. ​The beautiful Central African country of Uganda is one of the continent’s most surprising. Although best known for the population of mountain gorillas in the Bwindi Impenetrable National Park, there are many other wildlife experiences to discover. ​Be captivated by extraordinary game viewing and quintessential African landscapes on this safari through Tanzania. ​Discover Kenya’s foremost big game sanctuaries on this unique journey, which takes in an eclectic collection of the country’s finest boutique lodges and safari experiences. Experience the best of Southern Africa on this epic adventure. Sanctuary Chief's Camp sits silent among the glassy waters of the seasonal flood waters. This camp is sited in the exclusive Mombo concession of the Moremi Game Reserve, known as the "predator capital of Africa". ​Located deep in the Bwindi Impenetrable Forest in western Uganda, this intimate lodge offers luxury in the midst of one of Africa's most amazing natural environments.